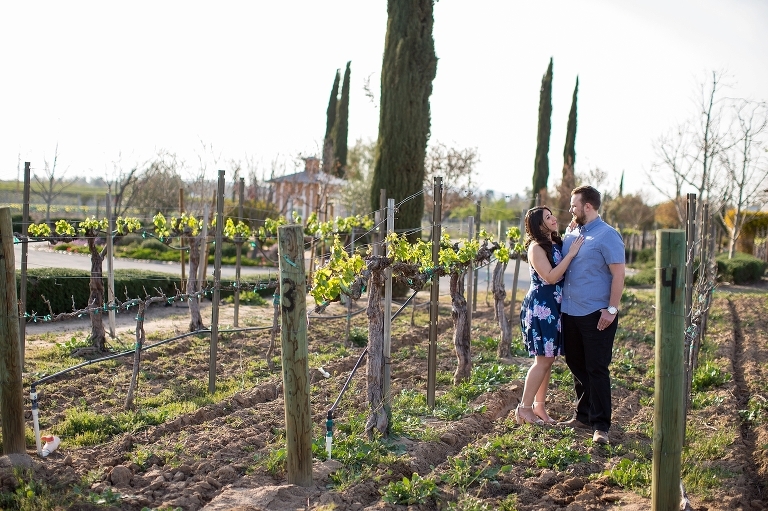 Sara and Jon selected Wines Winery engagement photos for the perfect location to capture their love story. I originally met was Sara and Jon because Sara’s mother works with my husband and Servite High School in Anaheim CA. From the first moment that we began getting to know each other I knew that we were a perfect match. We were all Disney lovers and a little geeky! 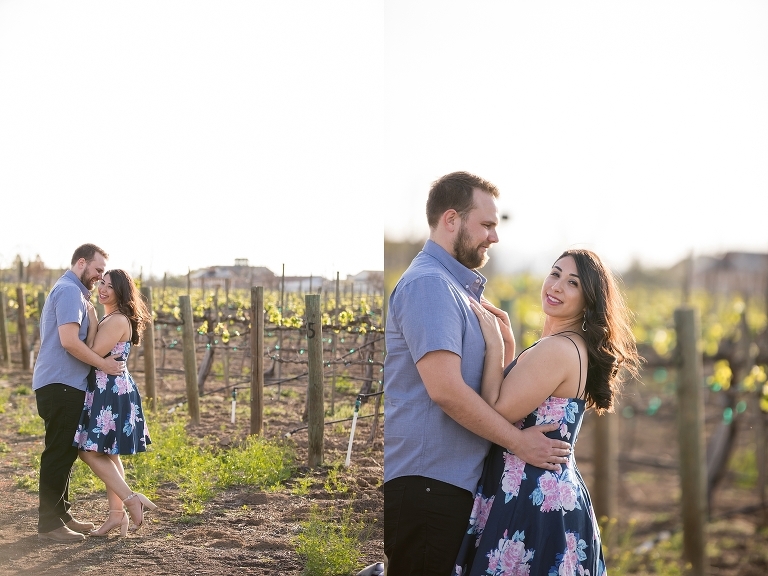 When they emailed me about doing their session at a winery I knew that we needed to go to Wiens. It is a small but stunning location! The vines are just starting to grow, but there was just enough green to be stunning. 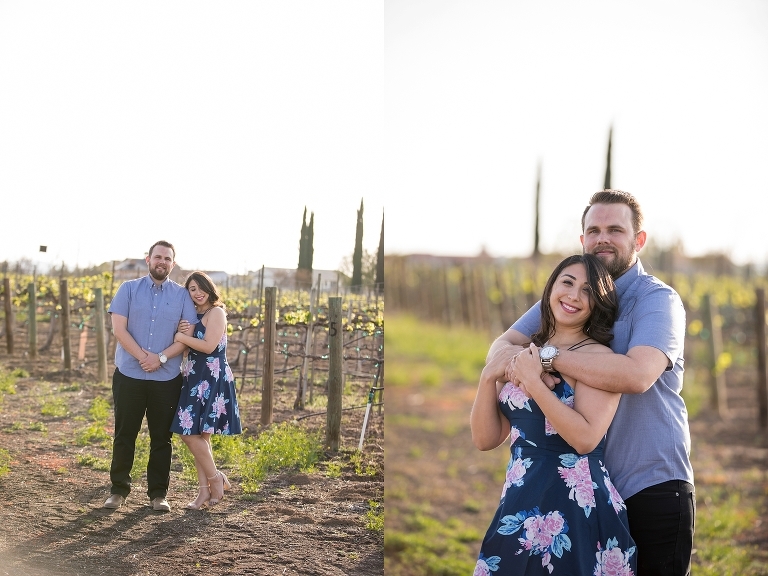 During their session we also walked over to the orange groves there on the property and had fun playing in the large branches. Some of my favorites photos of Sara and Jon were when I would just let them have fun and mess around! Their laughter was infectious and soon I found myself laughing right along with them. I (Jon) worked it all out with her friends and family before hand. I had her two best girl friends make her think they wanted to have a girls day. They were going to get their nails done and spend time together. Later on we would meet up for dinner at the Chapman University (where we first met) area. I met up with them in front of a place on campus called Memorial Hall. I mentioned I had forgot my wallet in the car and needed to go get it really quick and would return shortly. When I returned I had a book in my hand which I had grabbed from my car. I mentioned to them that I found it next to one of the classrooms. It was “Harry Potter and the Half Blood Prince”. I gave the book to Sara and knew she would open it to look through it. The book took a lot of time as I had gone through and hollowed it out to a chapter entitled “The Unbreakable Vow”. I put the ring box with the ring showing just underneath the title inside. She was ecstatic. She wanted to call her parents shortly after to tell them. I told her we should just enjoy the moment and wait and tell them when we saw them later that night. When we arrived at her parent’s place, I arranged for all of our closest friends and family to surprise her and we had a surprise engagement party. She was completely shocked with everything. 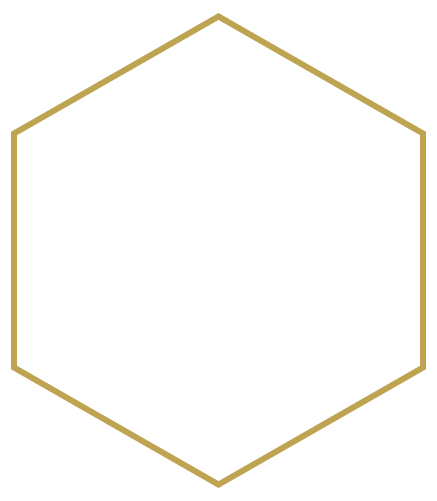 Are you engaged or planning a special event? I would love to talk with you about capturing your special day. If you are interested please send me a note. 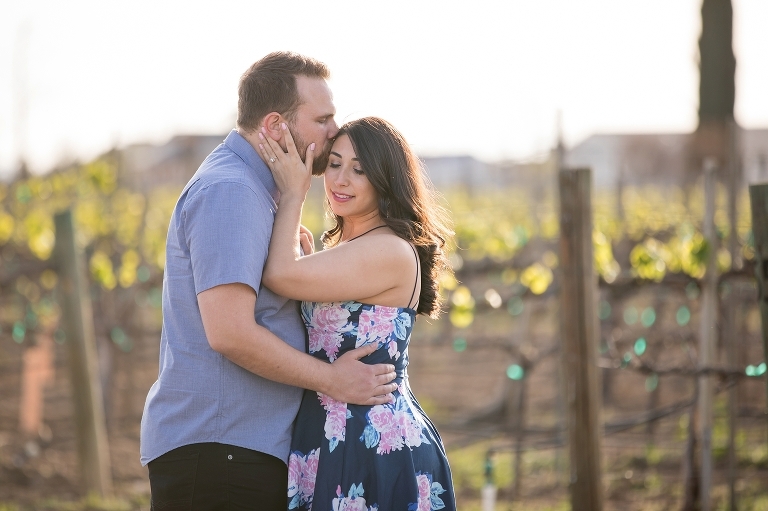 © 2019 Kirstin Burrows Photography : Southern California Wedding Photographer|ProPhoto Site|Designed by Seaside Creative.